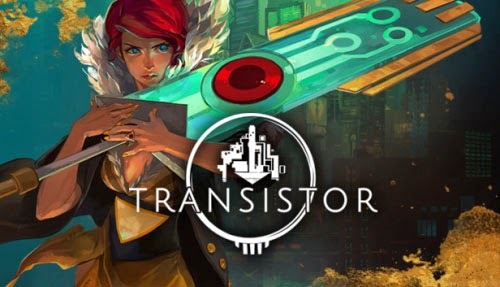 A game by Supergiant Games for PC, Mac, Xbox 360, PS4, Vita, Switch, and iOS, originally released in 2011. A bastion is essentially protected place, or a safe haven. 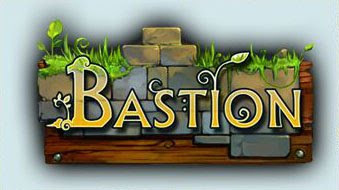 The game of Bastion begins after a great Calamity that has torn the world apart, leaving behind only a series of floating islands. You play the part of “the Kid” who is working to build a safe haven for the people who remain. The world is short on resources, and numerous factions are vying for it, which is the basis for much of the aggressive behavior that you encounter on your quest. Your enemies aren’t necessarily the “bad guys” out to stop you; they’re just trying to get what they need to survive, which oftentimes puts their goals at odds with yours. Framing up the experience of the post-Calamity world is some gorgeous 2D art and enemy designs, a world that literally rises up before you, and the deep and dusty voice of the narrator who tells the story of your deeds, like the telling of some kind of Old West fairy tale. The narrator sets the scene, providing descriptions and adding a bit of depth to the visuals. As you explore the environment, fight enemies, grab items, and unlock secrets, the narrator will react to what is happening onscreen and tell that part of the story. 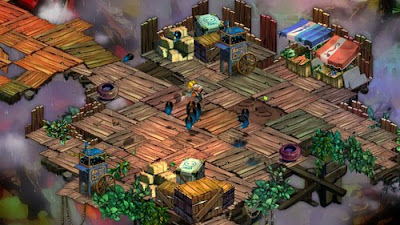 In this way, the exposition takes place during the regular course of events rather than as an interruption to the gameplay – as with a cutscene or dialogue exchange – allowing the story to unfold more organically. And that’s precisely how it’s presented, as if some great storyteller were sitting before a crackling fire, telling the grand tale of the world-that-was, and the deeds of the one who set out to save it. The difference is that you’re actually playing the part of the hero in the tale, and the story dynamically shifts based your actions and the decisions you make. Sometimes the narrator is just there to add a bit of flavor to the onscreen action, or to draw your attention to a particular item, but often he offers details on the deep history of the world around you. 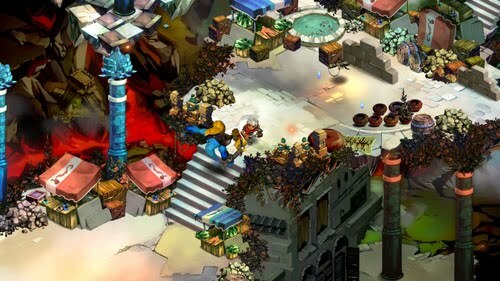 Since one of your primary goals is to build up the bastion, much of your time will be spent going out into the world to gather materials and bring them back to town. There, you can create buildings that will allow you to strengthen your weapons and armor, and gain new special abilities, giving you a bit of extra power so that you can head back out into the world again and seek out even better materials. The game is an action-RPG, but it definitely has a stronger focus on the action side of things. A number of action-RPG’s fall into the trap of simply replacing a FIGHT command in the menu with an ATTACK button on the controller, which devolves into mashing a button instead of constantly selecting the same item from a menu. 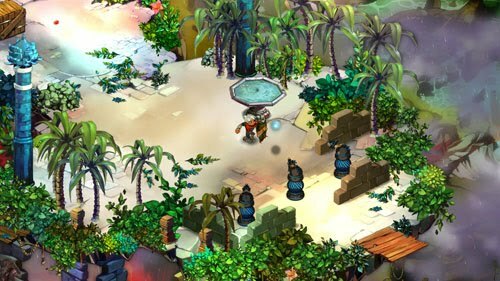 In Bastion, you’ll find yourself quickly switching between weapons in combat, taking on different strategies depending on the types of enemies you encounter, and then rapidly changing strategies as the situation changes or new enemy types drop into the fray. The screen will often be swarming with enemies, each with their own behavior patterns and methods of attack. 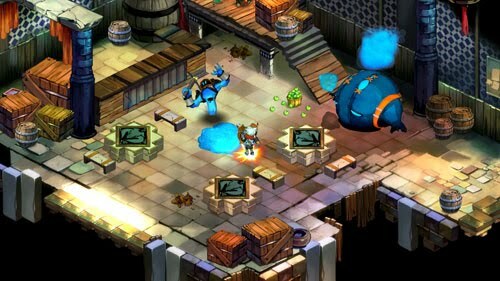 Some will fire projectiles, some will try to move in close and attack you directly, and some have secondary abilities, such as leaving behind trails of slime that slow you down and cause damage. In combat situations, you won’t be able to stand still for long if you hope to stay alive. At the armory, the player is able to equip both a melee weapon and a projectile weapon, as well as a limited-use special attack. Each of these is assigned to a different button and can be used at will. This allows you to have multiple attack choices at the ready without ever needing to drop into a menu to select them. You also have a dodge roll that lets you pull yourself out of danger for a second, or give yourself a chance to line up a better long-range shot. There’s a fair variety to the weapons. For up-close attacks, you have things like a machete that can deal out quick attacks, or the slow but strong hammer that can be charged up for a stronger blow. Your long-range arsenal will eventually consist of a bow that you can charge for a for a stronger shot, an army carbine that allows you to fire shots instantly or hold the button to fire a more accurate shot, and even a mortar that lets you lob powerful explosives. There are a number of other weapon types as well, each with their own methods of attack, and each is upgradeable. Of course, you’ll not have all of these weapons at your disposal from the start of the game; rather you’ll encounter new weapons in the course of your adventure. And, rather than picking up a new weapon and tossing out or selling off the old one as you do in most RPG’s, you’ll keep your weapons throughout your journey, powering them up and customizing their abilities along the way. This helps to give the player more of an attachment to his weapons, and the shortage of materials in the world of Bastion means that it doesn’t make sense to just toss weapons out when you find something slightly better. Weapon upgrades include increasing the damage your weapon deals to enemies and increasing the chance to score a critical hit. 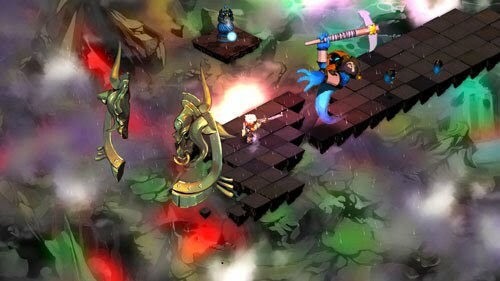 You can also add enhancements and modifiers to your weapons, such as the ability to inflict continuous damage on enemies, the addition of an explosive effect to your projectiles, the ability have projectiles travel from one enemy to the next, or to have your attacks work on multiple enemies simultaneously. 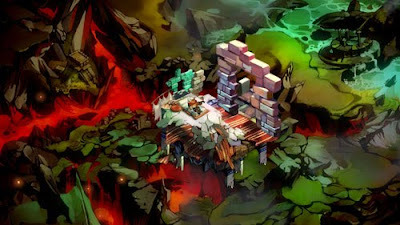 Each of the islands that you travel to (selected from an overworld map) has a somewhat different look and feel and is home to different breeds of enemies, but everything is tied together with a singular style by Jen Zee, the game’s artist. She used a high-resolution painterly style to create some of the least brown-and-gray post-apocalyptic environments you’ve ever encountered. The world is filled with color and detailed architecture that draw the eye away from the otherwise tile-based isometric environments. As apocalypses go, this is one of the more beautiful ones you’re likely to find. 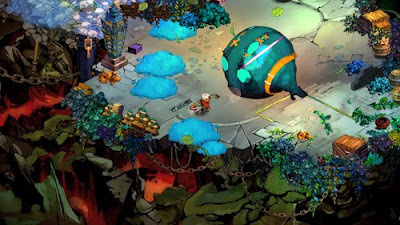 It’s worth noting that both Bastion’s audio and visuals have received recognition; the game was a finalist in the 2011 Independent Games Festival in the categories of Excellence in Visual Art and Excellence in Audio. Since the world is made up of floating islands, you can see the sky and other details in the backgrounds, further helping to set the tone. Sections of the world build themselves up in blocks as you travel – and in some instances, fall away – allowing you to see even more of the background detail. Functionally, this works like a “fog of war” effect from real-time strategy games (the dev team shared an RTS development background), but it’s a far more visually appealing way to present it, and it forces players to explore every corner to truly see the world around them. 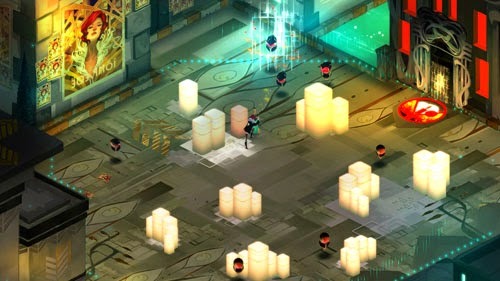 On the RPG side of things, the game does have a fair amount of exploration, and you’ll often be faced with several possible paths to choose from. And yes, you can fall off the side of the world, and you’ll be dropped back onto the map with a health penalty. There’s also an XP system in place which allows you to develop and strengthen your character, and you’ll eventually gain the ability to summon creatures to assist you in battle as well. Another interesting mechanic is the “Shrine System”, which allows players to tweak the difficulty level in-game. By invoking the powers of the gods, new challenges are added to the game world, such as more powerful and/or faster enemies. Increased rewards are available for taking on greater challenges, such as making rare resources available, which leads to the development of more powerful weapons. The game’s standard difficulty is like a “normal” mode, but these tweaks allow more skilled players to increase the risk-reward factor for a more challenging experience. 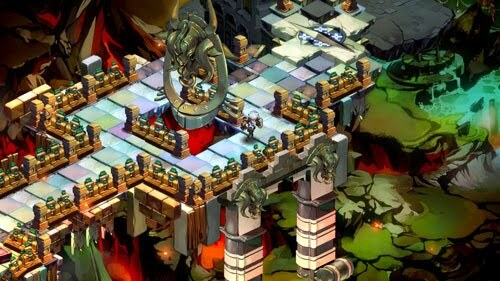 Through our ongoing partnership with Fanboy Confidential, we spoke with Greg Kasavin to discuss the game. The interview was originally intended to be a part of our 10 Questions interview series, but it ended up going long. So, rather than cut it down to the typical 10-minute format, we have included the interview in its entirety (available for streaming or download below). Greg speaks about some of his favorite 2D games, shares his views of working in a small development studio, and discusses what goes into producing a game like Bastion in terms of gameplay, narrative, and art style. Supergiant Games is made mostly of ex-employees of Electronic Arts Los Angeles, and the company was founded in 2009. Having been inspired by other independent developers who had found success in the digital distribution market, EALA employees Amir Rao and Gavin Simon left the comfort and safety of the big studio umbrella (and regular paychecks) to set out on their own and start their own company in San Jose, California. 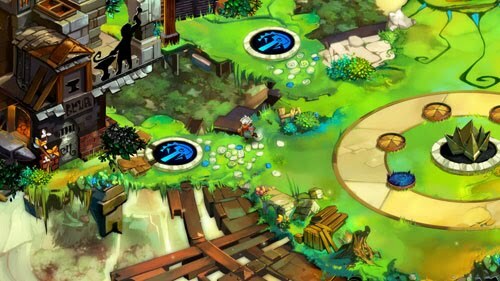 The founders have since been joined by other talented individuals, such as writer Greg Kasavin and artist Jen Zee. 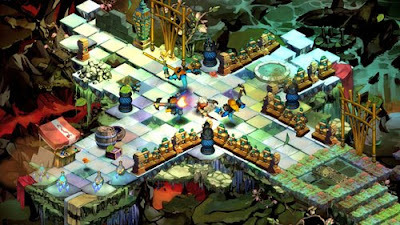 Bastion in is the company’s first game, but many of the team members had worked together previously on the Command & Conquer series, notably Command & Conquer: Red Alert 3. 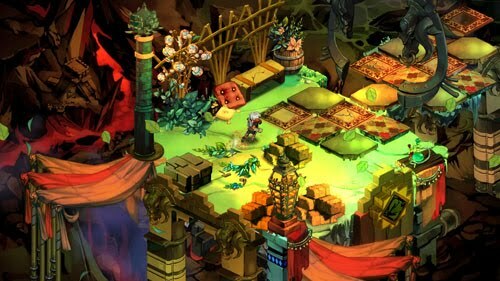 Bastion was published by Warner Bros. Interactive Entertainment. 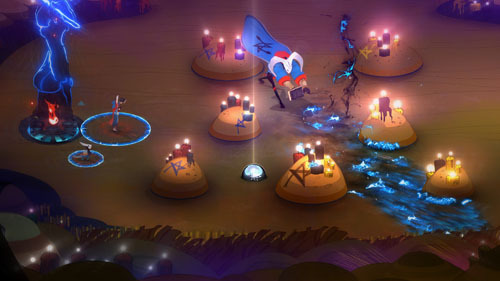 The studio's third game was Pyre, a party-based RPG focusing on a group of individuals who have been exiled from the Commonwealth, but they learn of a set of rites that may allow them to return home with their transgressions forgiven. 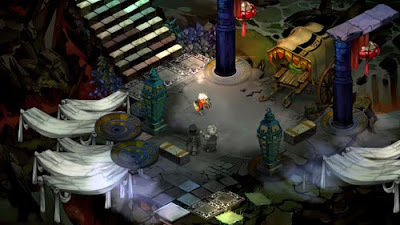 Each of the exiled characters has different abilities which aid them in the competition, and players must learn to use the strengths of each character cooperatively, as only one can be controlled at a time. Each team has a pyre on their end of the arena that they must defend, while also attempting to carry a glowing orb into the pyre of their opponents, which temporarily removes that player from the playfield. Players must take advantage of speed to get the orb to the other side of the arena, strategy to avoid attacks from competitors, and auras to disable their foes and remove the orb from their possession.